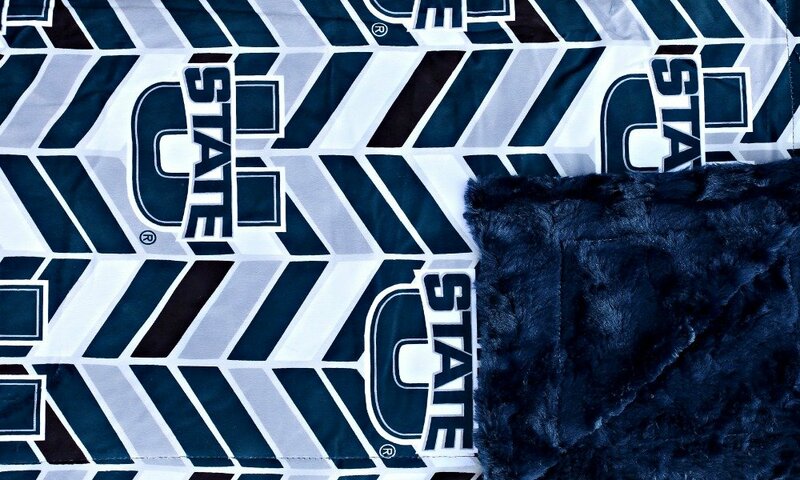 Your own USU Minky is the best way to enjoy the game and flaunt your team pride! USU navy, blue, white, and gray herringbone print with the officially licensed USU logo. Plush navy minky on the back and no ruffle. This exclusive design can only be found at Minky Couture. No coupon? No problem! We've already marked it down for you. Go Aggies!